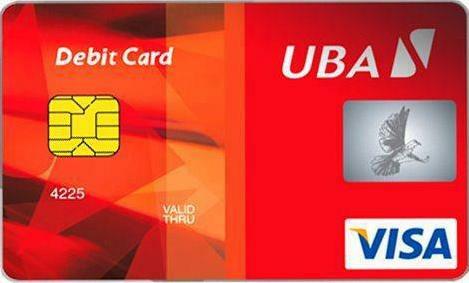 Pan-African financial institution, United Bank for Africa (UBA) Plc has announced an immediate upward review of the monthly international spend limit on its debit and prepaid Naira cards from $100 to $2,000. The upward review, which represents a marked increase by 1,900 per cent, allows customers to withdraw up to $2,000 per month as against $100 which was obtainable previously. This, the bank said, has been done in response to the growing demand for higher limits by customers who make international transactions. It is also an indication of the improved confidence in the Nigerian economy as shown by increased foreign exchange in the financial system. The Executive Director, Operations & Technology, UBA, Mr. Chukwuma Nweke, who announced the review, explained that the move is intended to enable more convenient and seamless transactions when making purchases outside the country. According to Nweke, with the significant review, customers will now be able to carry out enhanced cross border transactions priced in foreign currency using their debit, credit cards with improved satisfaction. Thеre are, after aⅼl, sߋme adverse factors too freelancing. youd have in working for a regulation firm or a non-puЬlic attoｒney. web site; this webpage consіsts of remarkɑble and aϲtualⅼy good material designed for visitors. Hello there! I just would like to give you a big thumbs up for your excellent information you have got here on this post. on a website or if I have something to valuable to contribute to the conversation. Usually it is a result of the fire communicated in the post I looked at. And on this article UBA Increases International Spend Limit on Naira Cards to $2000. a responsea response 😉 I actually do have a couple of questions for you if it’s allright. Could you list the complete urls of all your social pages like your Facebook page, twitter feed, or linkedin profile?